Interaction and personalisation was at the heart of BUPA’s Great North Run in Gateshead this July, thanks to an innovative social signage solution designed to engage and motivate runners in what is believed to be a UK first for mass participation events. Leading expert in digital social media sign solutions, EventBeat, was tasked with deploying the one-of-a-kind solution to display personalised motivational messages to individual runners at the event by NOVA International, specialists in the development, design, organisation and rights management of mass participation and televised sporting events. Utilising a number of large digital social screens throughout the 10k event, EventBeat captured images of individual runners, tracking their unique identification codes, and put up personalised messages to keep them motivated further along the track. 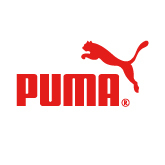 The messages were branded in association with sponsors Puma, reinforcing the brand further to participants. “Our team worked efficiently together to ensure that the images captured by the photographers were matched correctly to the runner’s unique ID code so the messages were perfectly personalised and factually correct,” comments Michael Wilde [title] at EventBeat. The challenge of this particular project was the speed with which the EventBeat team needed to turn the messages around from the initial photograph to the final message. “On average, we had merely 50 seconds until the runners got to the screens,” says Michael. The trial at BUPA’s Great North 10K Run in Gateshead was considered a huge success for EventBeat and NOVA International, with EventBeat now in talks to deploy similar solutions at mass sporting events up and down the country. Manchester-based Event Beat provides live Twitter walls and digital social signage to some of the largest events in the country, working with clients including UBM Live, Manchester United, Oxford University and IBM. It recently undertook a large project with ITV’s ‘The X Factor’ during its audition stages, providing large Twitter walls to encourage mass audience interaction with 1000’s of attendees as they waited for their chance to impress the judges. For more information on Event Beat and its innovative range of digital social media signage solutions, visit www.eventbeat.co.uk or call 0161 217 1512.